This light moisturising lotion is no lightweight when it comes to zapping blemishes and helping troubled skin. The ApiClear Facial Moisturising Lotion is nourishing and quickly absorbed, it feels instantly refreshing for skin and cleverly balances the perfect amount of oil and moisture for skin. 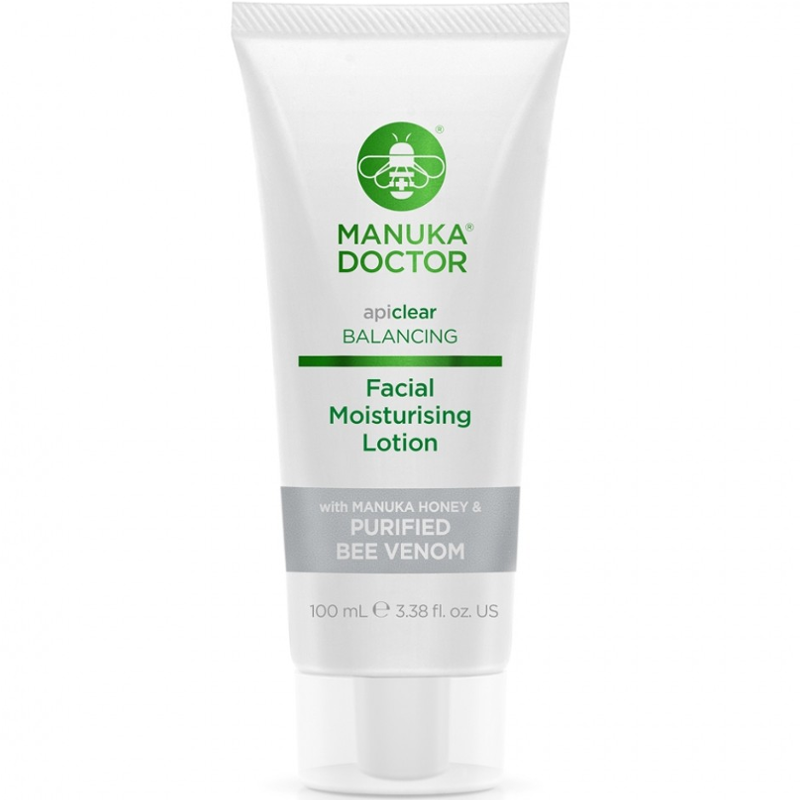 This blemish tackling Facial Lotion features Purified Bee Venom (PBV™) to fight blemishes. 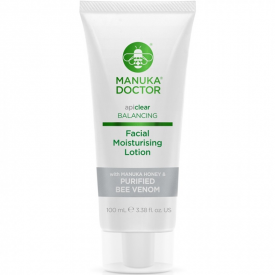 Purified Bee Venom has proven anti-bacterial and anti-inflammatory properties. 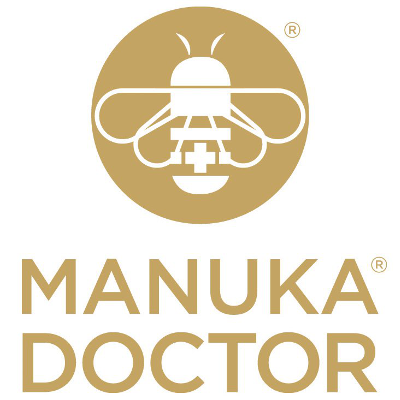 Experience the refreshing and cleansing properties of Papaya Extract while the Manuka Honey hydrates your skin. Combine daily with ApiClear Skin Treatment Serum for effective reduction of bacteria that cause spots and acne. Simply, apply to clean, dry skin every morning and night after applying the Skin Treatment Serum. 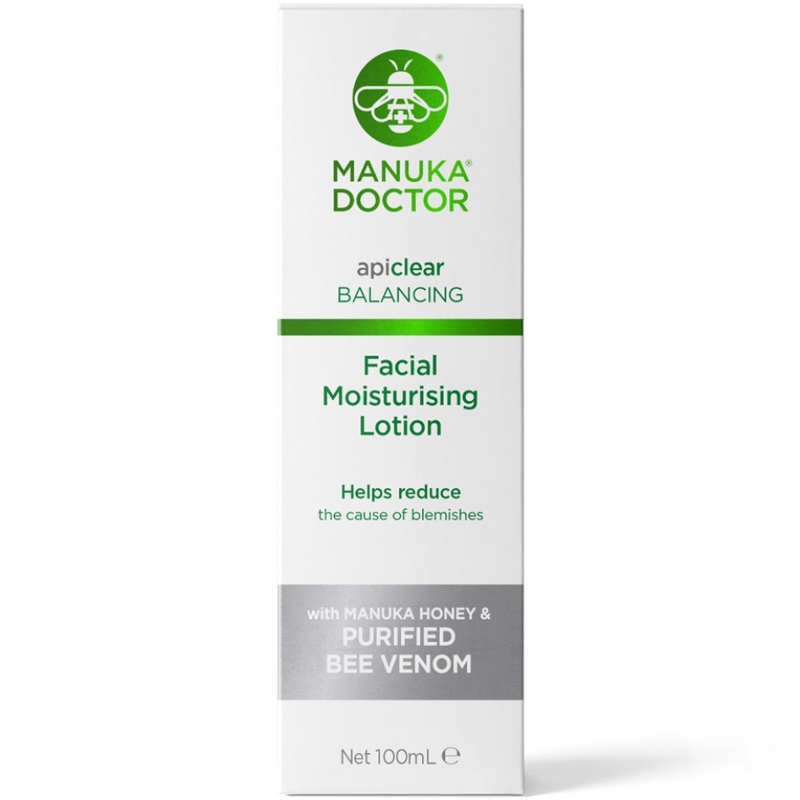 • Purified Bee Venom (PBV™): A potent combination of enzymes, peptides and amino acids with proven anti-bacterial and anti-inflammatory properties Manuka Honey from New Zealand - proven anti-bacterial, anti-inflammatory, cell regenerating & moisturising properties. • Apply to clean, dry skin every morning and night. If irritation occurs discontinue use immediately. • Come completely clean by using as part of an ApiClear regime. Use with ApiClear Foaming Cleanser, Facial Scrub, Facial Toner, Skin Treatment Serum, Blemish Cream, Skin Ease Repair Gel & Purifying Face Mask to help balance troubled skin. Aqua (Water), Butylene Glycol, Glycerin, Pentaerythriyl Tetraisostearate, Caprylic/Capric Triglyceride, Portulaca Oleracea Extract, Glyceryl Stearate, Cetearyl Glucoside, PEG-100 Stearate, Rosa Damascena Flower Water, Dimethicone, Dehydroacetic Acid, Polyacrylamide, Cetearyl Alcohol, C13-14 Isoparaffin, Sodium Stearoyl Glutamate, Parfum (Fragrance), Phenoxyethanol, Laureth-7, Tocopherol, Lecithin, Chamaecyparis Obtusa Water, Carbomer, Hamamelis Virginiana (Witch Hazel) Water, Benzyl Alcohol, Disodium EDTA, Glycine Soya Extract, Ethylhexylglycerin, Alcohol Denat., Bee Venom, Mel (Honey), Ceramide 2.